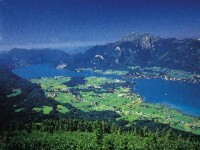 Some of the loveliest places in Austria’s nature includes the alpine beaches like the Wolfgangsee. This 11 km long alpine beach is the largest in SalzburgerLand and it has two main resorts: St. Wolfgang and St. Gilgen nearby. You can do trail running, excursions, congresses, hiking, family trips, sports and even arts and cultural activities. 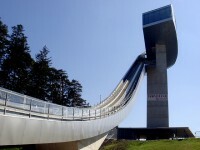 Visit Strobl which is at the northeastern port of Salzburg and almost at the border of Upper Austria. This used to be the residences of Hugo von Hofmannsthal, the actor Emil Jannings, Theo Lingen and King Leopold III of Belgium. Hildegard Knef, Helene Thimig-Reinhardt as well as Max Reinhardt. There are also campsites and hotels other than exciting cliff diving activities in the area for active tourists. 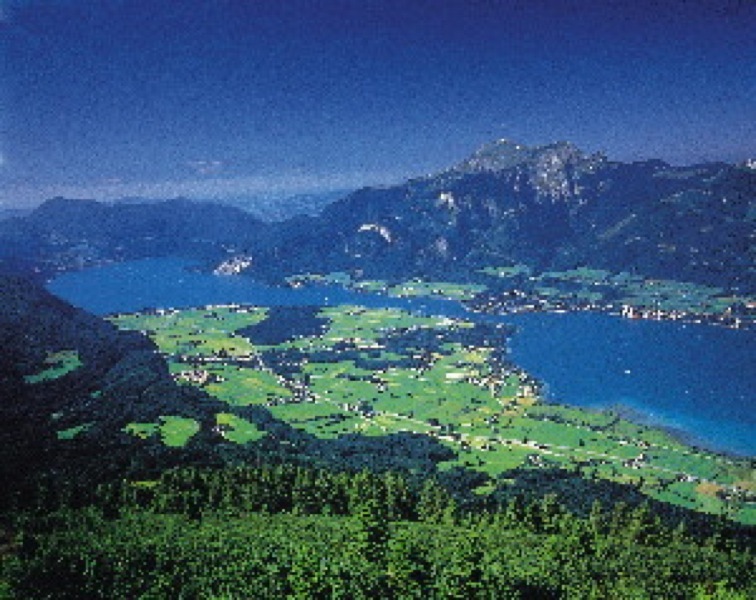 Wolfgangsee is an inspiring place for many poets and painters over the centuries. Musicians and composers, creative intellectuals love this place for its unspoilt charm. One of the famous and big events is the Summer Nights in St. Wolfgang and for 2012, every second Monday at the post office place, on the shore in front of the White Horse Inn and at the marketplace, you can watch different musical groups playing their genre of music. Most of the shops will be opened until the 2300. 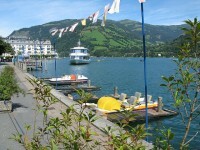 There will be exciting airchallenge, watch those seaplanes in the heart of Salzkammergut. If you like international show, go to the shores of Lake Wolfgang and you will see a unique blend of dance, acrobatics, music and singing. Boogie’n Blues Shake the Lake is the other event you do not want to miss. VON Polo Cup tournament, listen to the most beautiful operattas and wonderful musical comedy other than the musicals. For the active ones, there is a 27.5 kilometers run around the lake too. 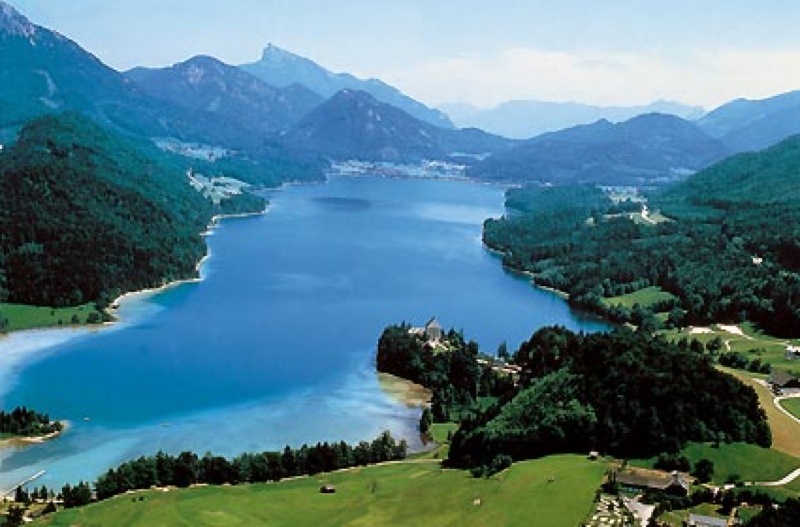 In Salzkammergut, you can find a wonderful holiday region called the Fuschlsee that boasts of crystal clear bathing lakes. People who like the sunshine, you can go to the mountain pastures with very friendly people around. Whether you are young or you are old, you will find activities that suits your age. From villages to villages, you can explore from Fuschl am See, Hintersee, Koppl, Hof bei Salzburg, Ebenau, Thalgau and Faisternau. There are many hiking opportunities and in the winter, this place is perfect with good trails for cross-country skiing, the highlight being Ski area Gaissau Hintersee.